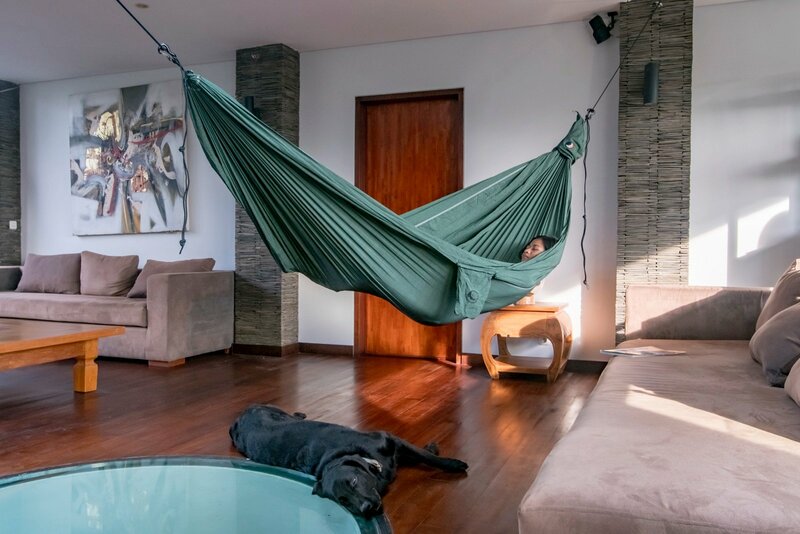 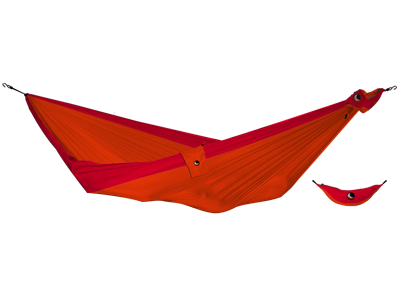 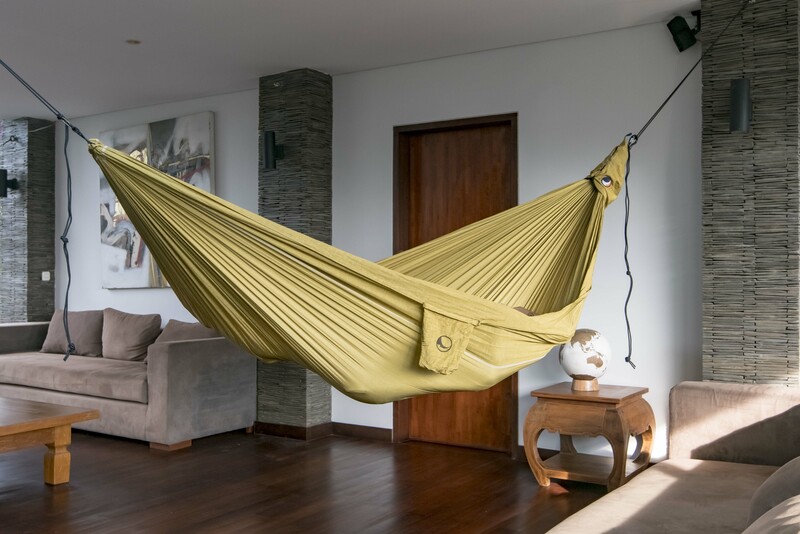 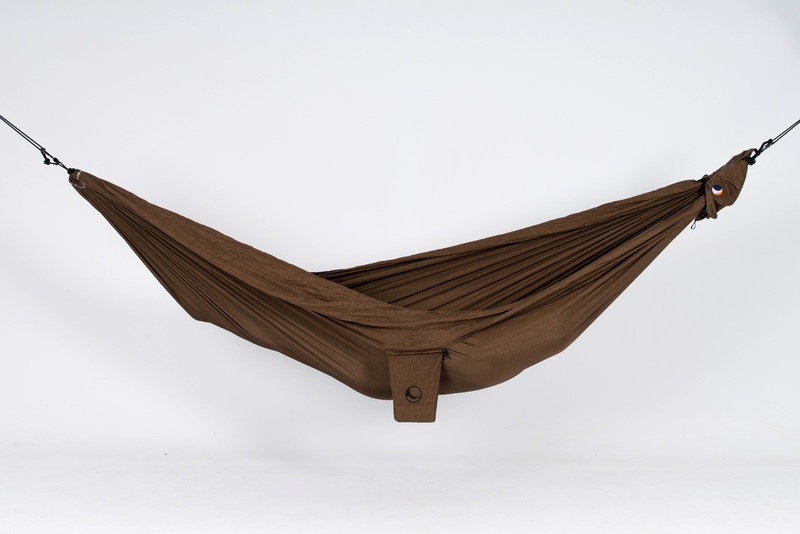 Many years of hammock research preceded the finalization of the two premium sizes in this collection. 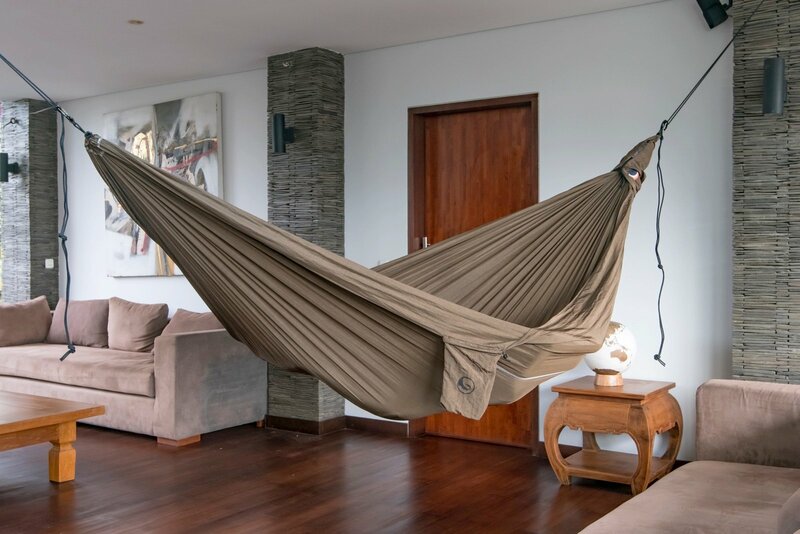 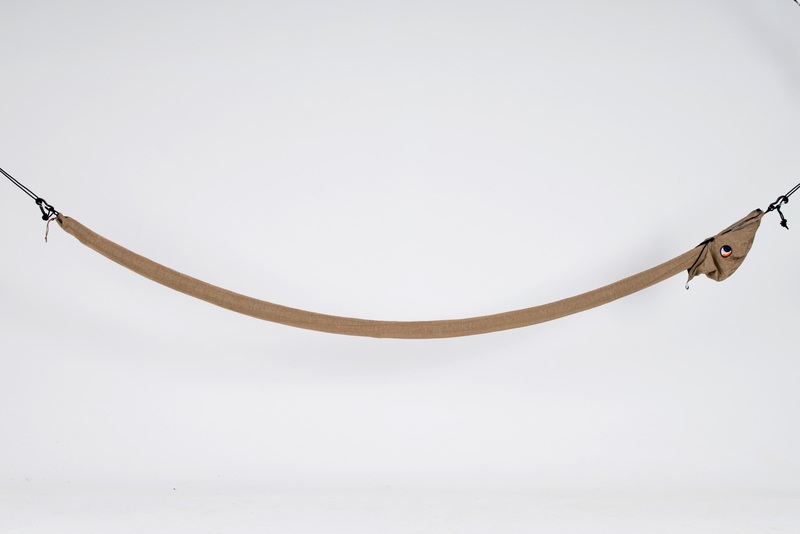 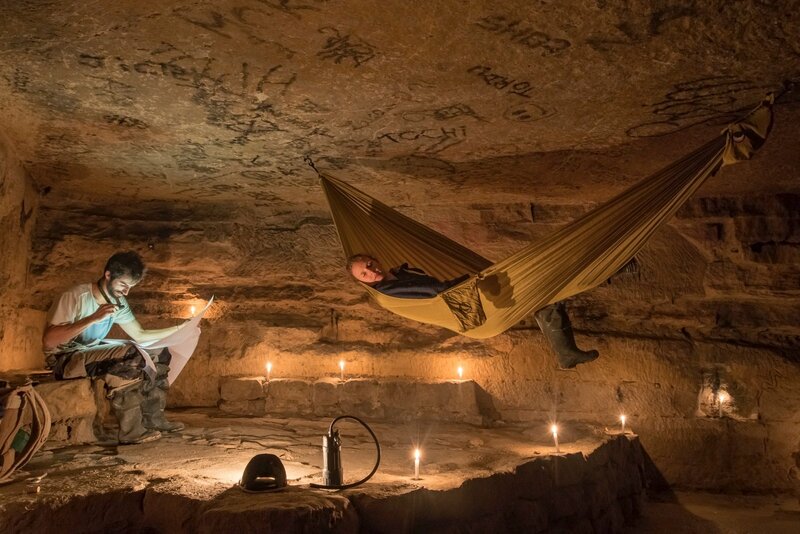 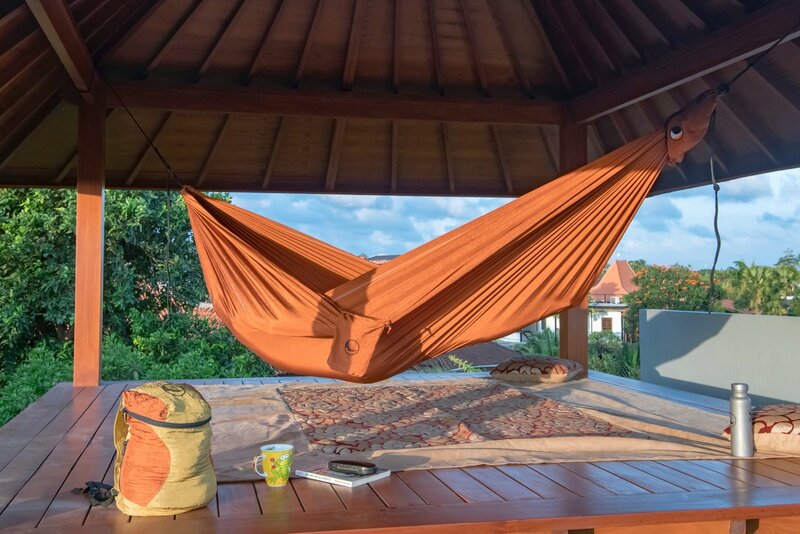 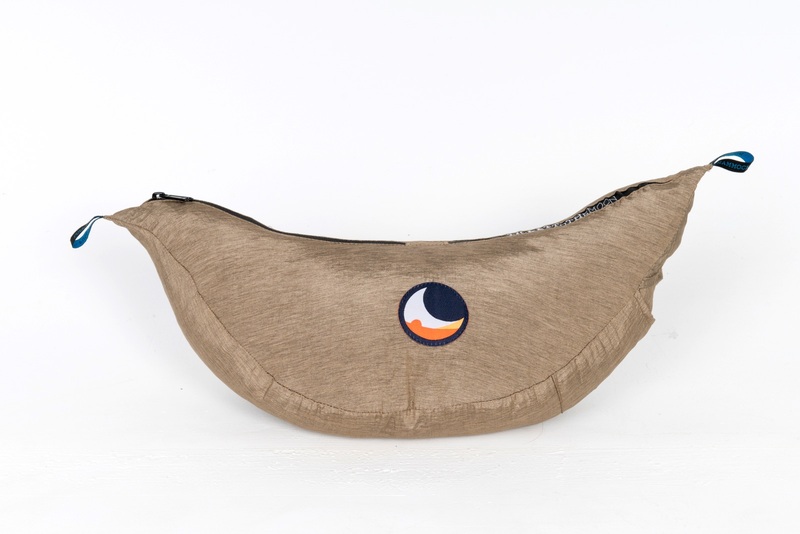 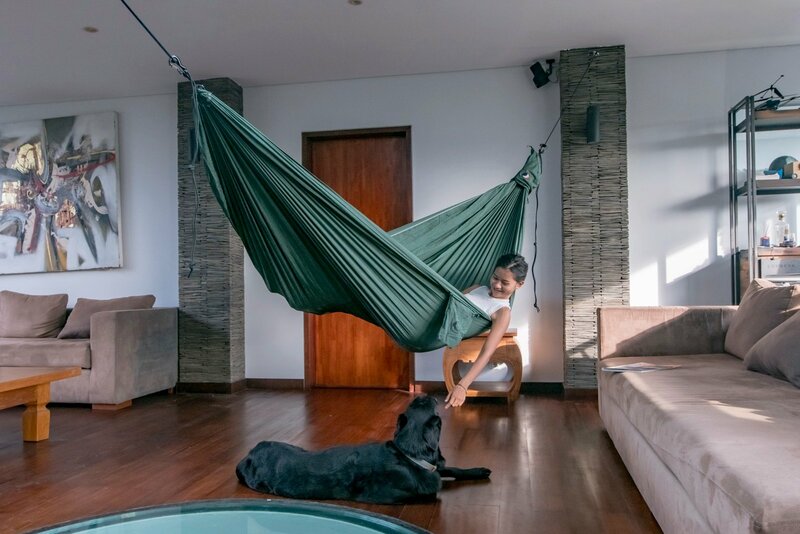 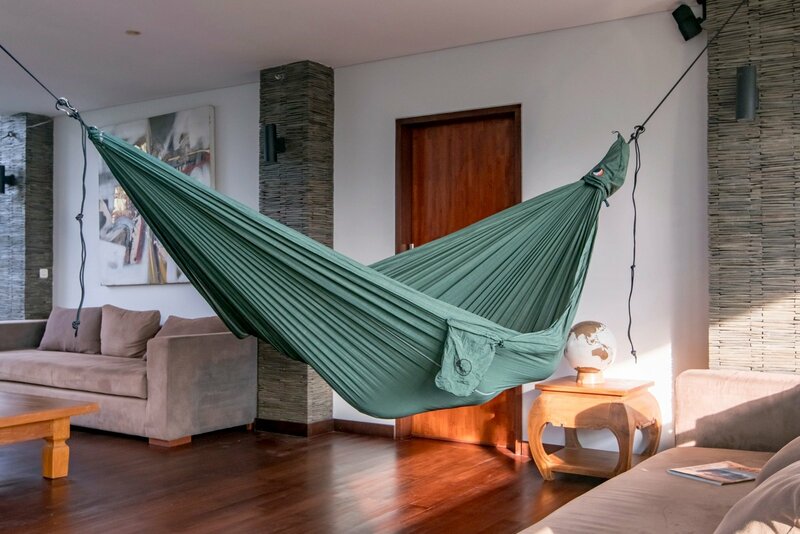 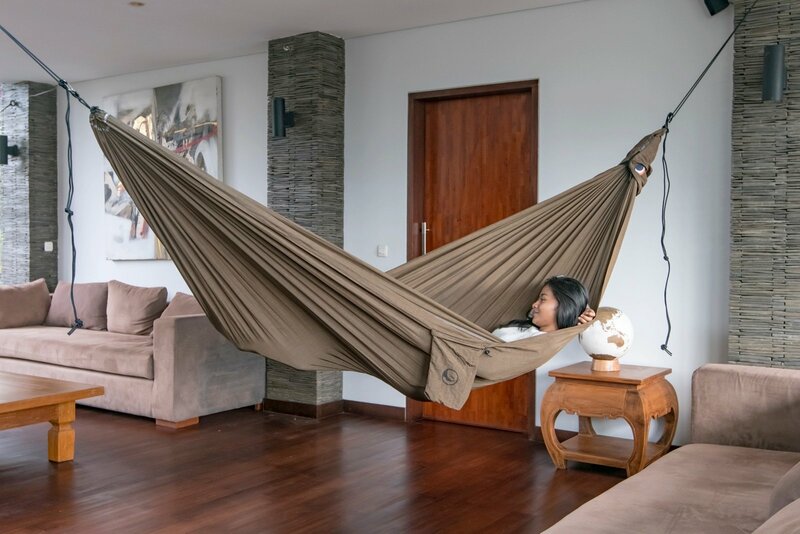 A three-meter long Full Moon hammock is spacious enough for two, while the five meter length of the Honey Moon Hammock offers abundant space for relaxing moments and a most comfortable sleep. 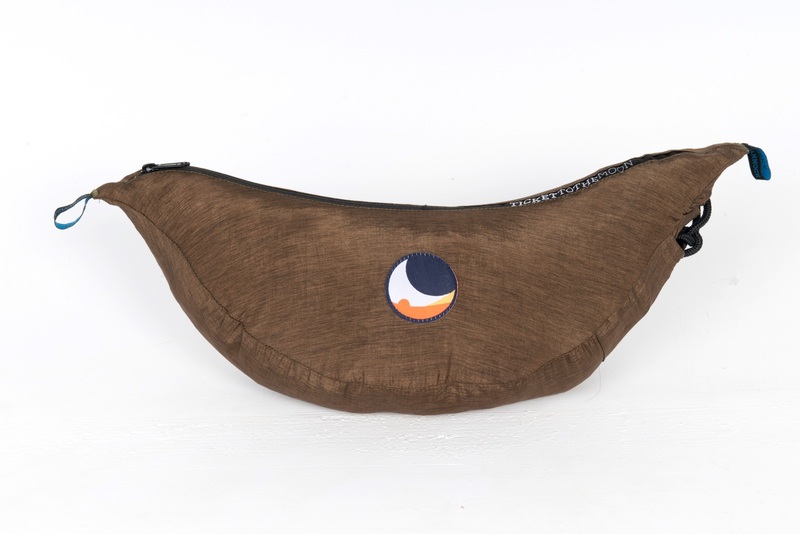 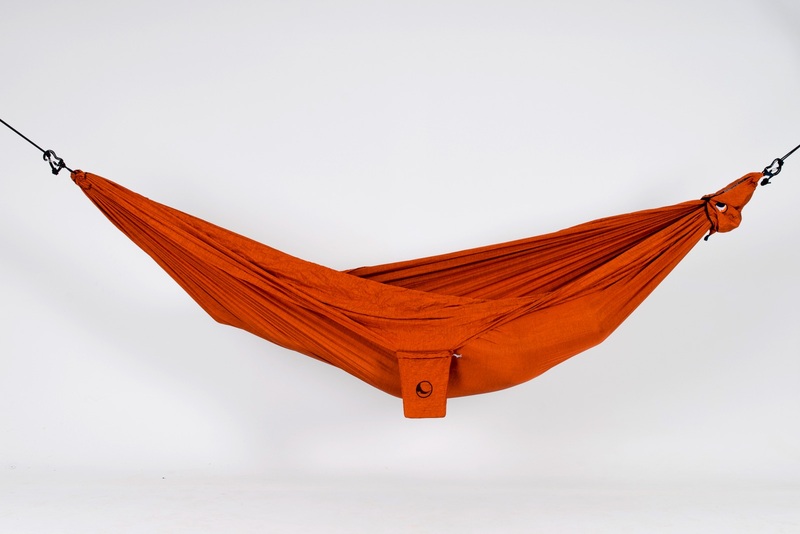 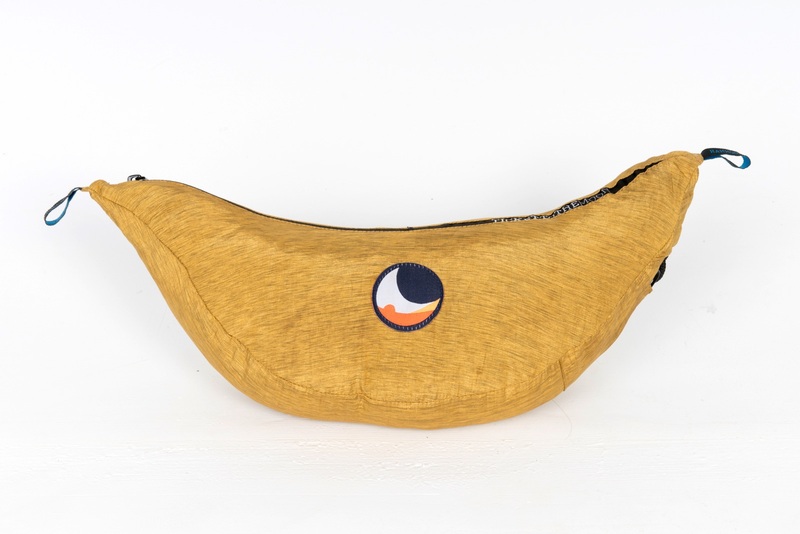 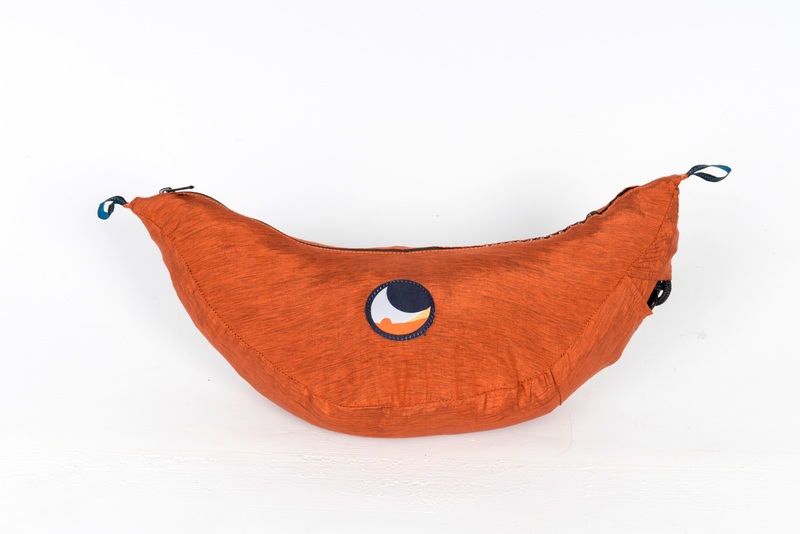 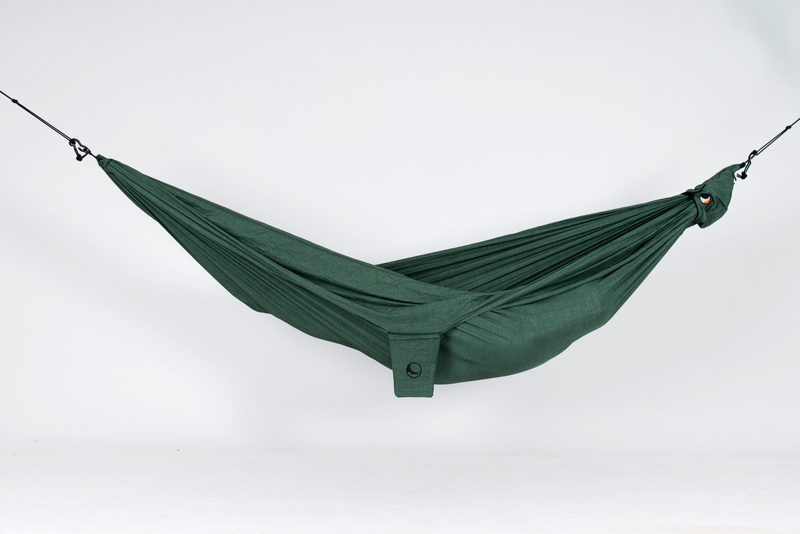 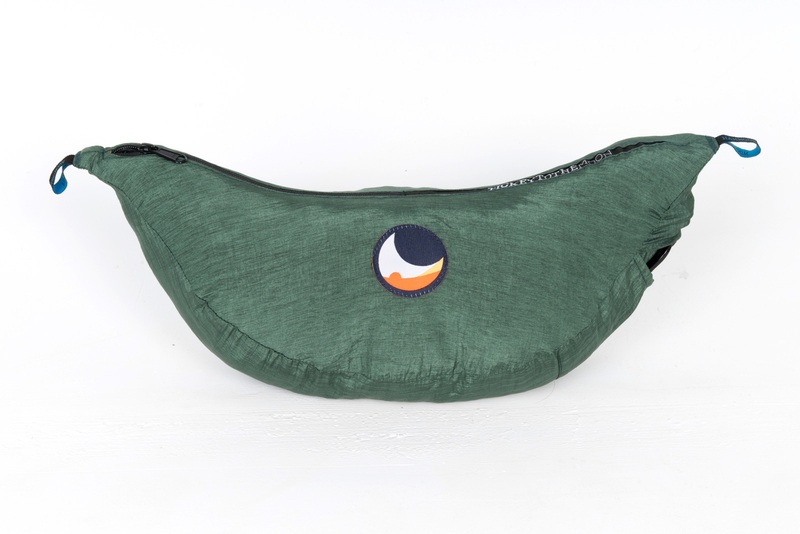 The gentle stretch of the fabric makes for a comfortable pressure relieving hammock hang. 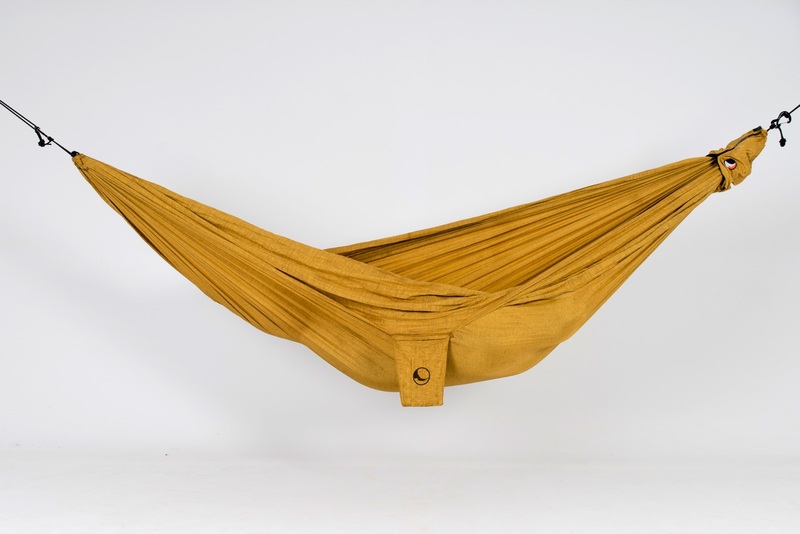 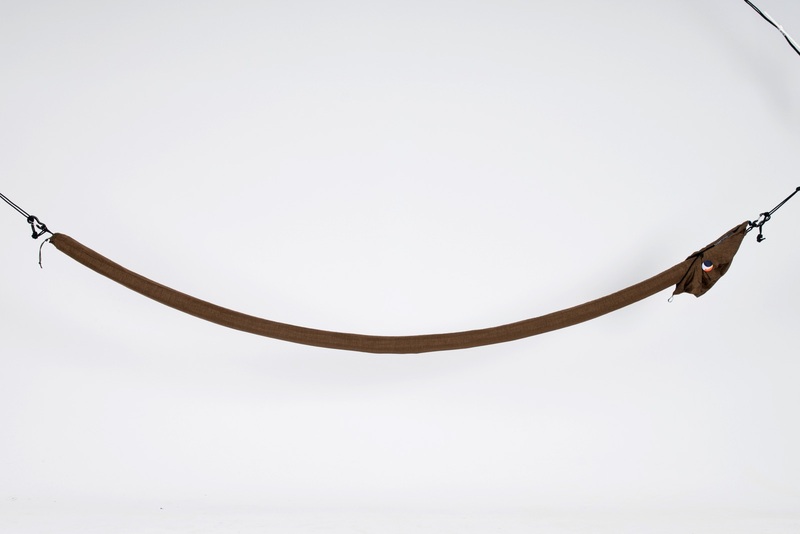 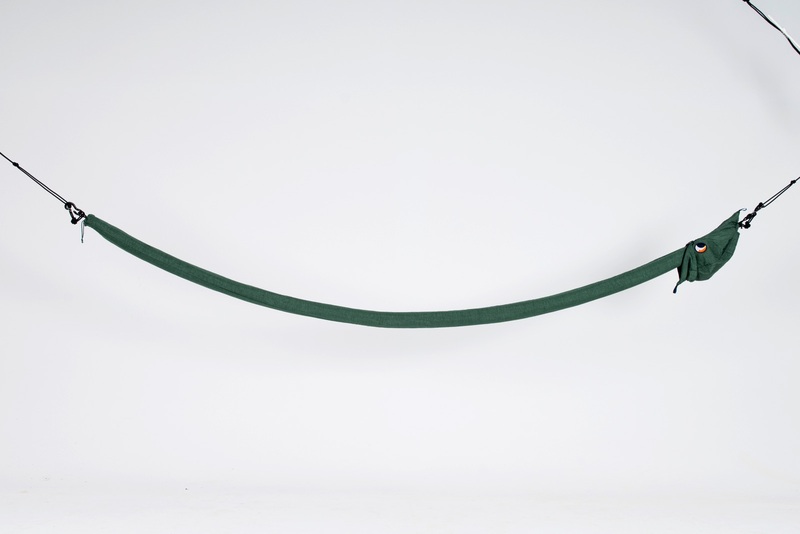 Premium Hammocks are elegant centerpieces for the interior or garden. 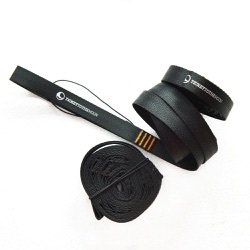 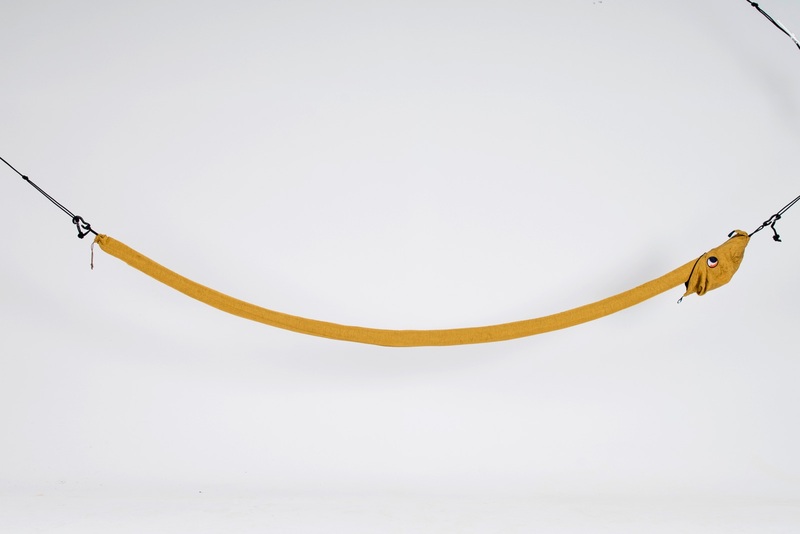 They are bundled with sleeve protection, an easily adjustable suspension system with carabiners. 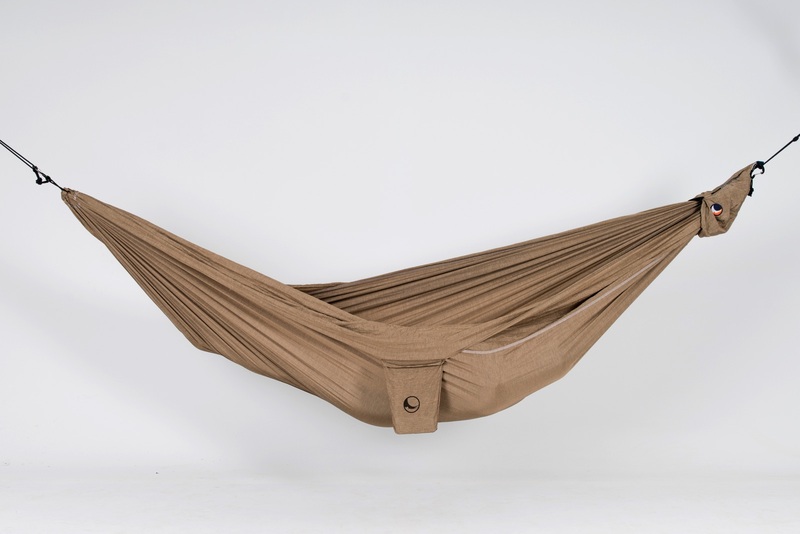 Our products combine a balance between functionality, comfort and esthetics. 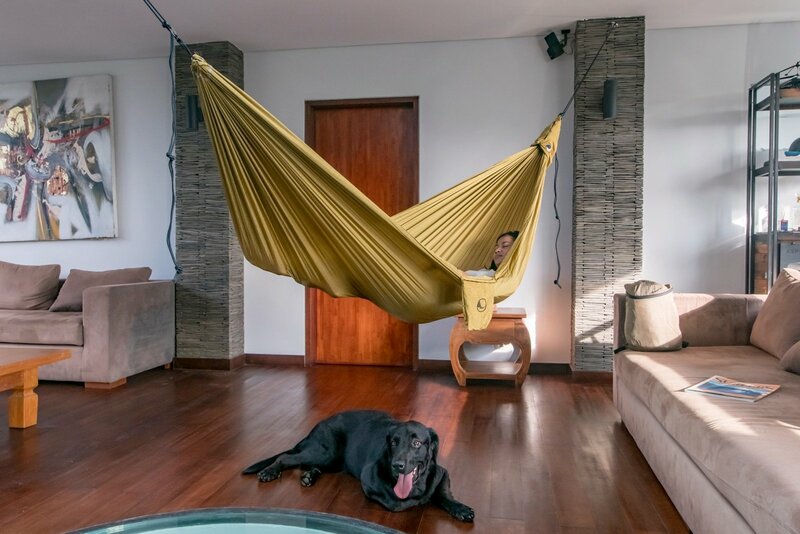 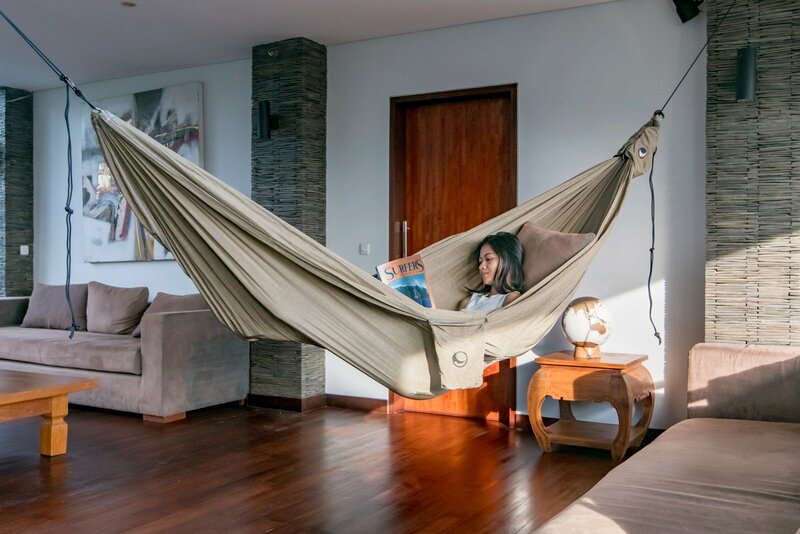 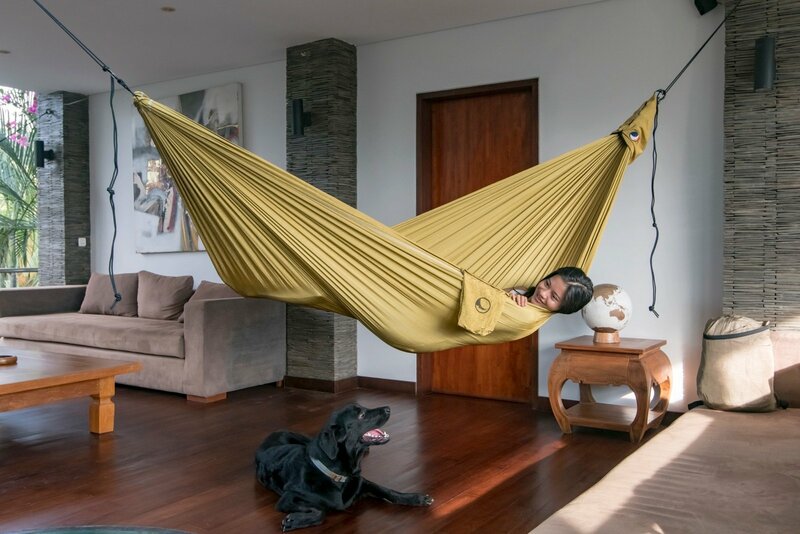 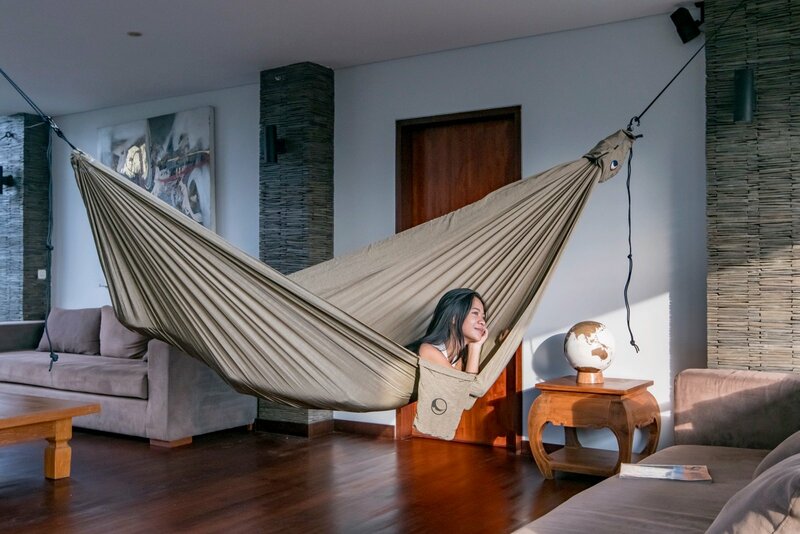 One of them is this the "FULLMOON HAMMOCK".